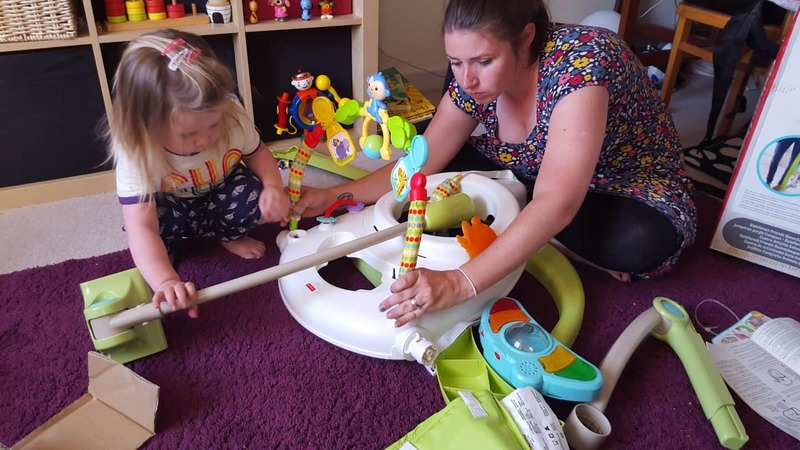 Introducing another amazing ‘keep the baby happy, busy and safe’ activity centre from Fisher Price. Arlo outgrew the playmat and although we do still use the newborn to toddler swing on occasion now he’s mobile he didn’t really like being in it for long periods of time any more. 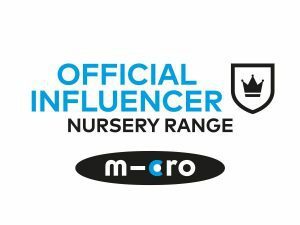 This Jumperoo doesn’t have the swivelling seat like the original one but still has a whole host of activities to keep your little one entertained; a toy bar (removable) with three spinners, frog soft teether, a clacker bar and a push and pull turtle. There is also a light up ‘piano’ although the keys cannot be pressed. The activities encompass a range of colours, senses and textures so it would be hard to get bored! There is a continuous music setting or a baby-activated one and two different volumes. You will need to pop 3 AA batteries in though. The seat pad is machine washable too! This took me about ten minutes to put together (with the ‘help’ of a toddler!) and is folded down easily for storage behind a door or sofa for example! It was a bit stiff the first few times but has eased up the more we have put it up and down! The Fisher Price Jumperoo is currently on sale for around £85 from Amazon and many more retailers. 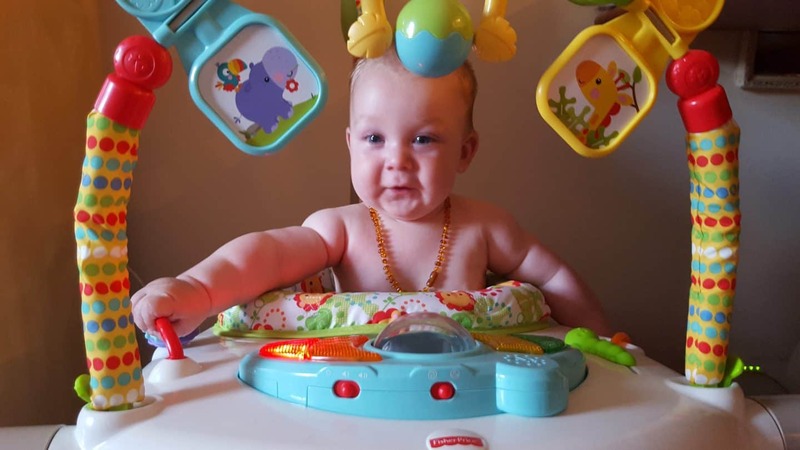 We were sent a Jumperoo for the purpose of this review, all words and opinions are my own. To view more great Fisher Price baby essentials that we love click here. 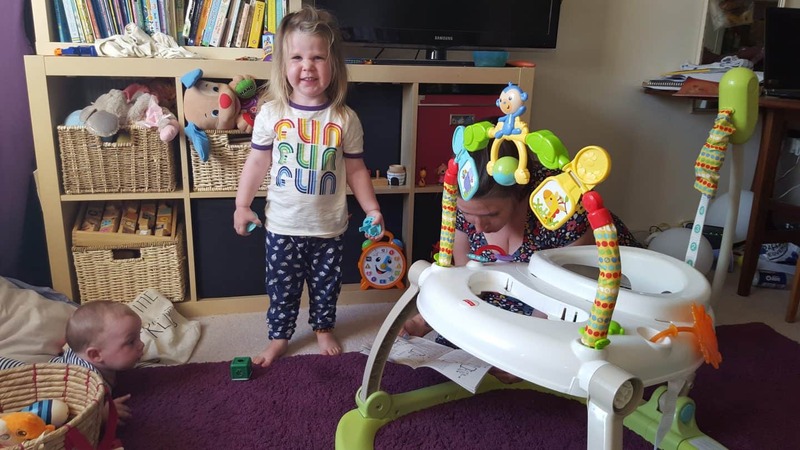 This looks like a great ideas, the normal jumperoo is pretty big isn’t it! Love that it can be folded down!